Your car's electrical system powers everything from the ignition and fuel systems to your accessories, such as the radio, headlights, and wipers. The electrical system is, in turn, powered by the engine. Here are the three key components of the electrical system. This is the heart of the electrical system. It consists of three main components: the belt-driven alternator, various electrical circuits, and a voltage regulator. The alternator supplies power to the electrical system and recharges the battery after your car has started. Just as its name suggests, the voltage regulator controls the voltage, keeping it within the operating range of the electrical system. This system consumes more electrical power than any other in your car. The starting system consists of three components which all work together: the ignition switch, the starter relay or solenoid, and the starter motor. The ignition switch controls the starter solenoid, which activates the starter motor. The starter motor then turns the engine until your car starts. 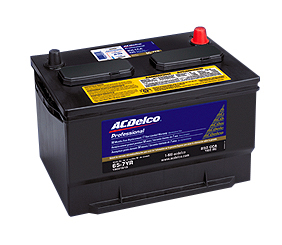 (For a free battery test and $10.00 off the purchase price of a new battery, click here).